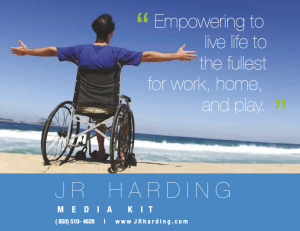 Dr. JR Harding’s core mission is to empower people with disabilities, seniors and those with special needs to live life to the fullest at work, home and play. Through JR’s pioneering experience, he navigates clients through the unfamiliar landscape of disabilities, offers up-to date disability rights information and resources. Learn more about his expertise by downloading his media kit below.